Doctor Who is one of the biggest TV shows in the world but there are still people out there who have failed to be won over by the timey-wimey liaisons of telly's most popular hero. Some have just accepted that it isn't really their cup of tea and moved on with their lives while others waste no time in letting people know how excruciatingly awful they think it is. That's the amazing power that Doctor Who possesses - even its haters have plenty to say about it and they dedicate an awful lot of time to preaching their problems, too. That must mean they secretly love it deep down and it's the duty of the Doctor Who fandom to open their eyes the world of adventure that's waiting at their fingertips. Doctor Who has been going for over half a century now so it's always intimidating for a newbie to join the party when there's so much history that apparently needs to be researched and understood in order to progress to the next level. That's not the case, though. Pretty much every episode is a good starting point and the mythology is always there if you want to explore it. 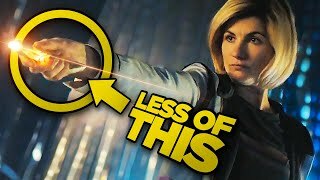 Some people use it as an excuse not to join the ranks of the coveted Whovians and, if you, or someone you know, is still refusing to accept the most simple aspects of the show's format, this list should help clear things up. The concepts of regeneration, time travel and everything else in between are explored and explained across the following pages so by the end of it you'll have no reason to be confused. Just remember that it's science fiction so it doesn't have to make sense. Once you've accepted that, you're pretty much halfway there.